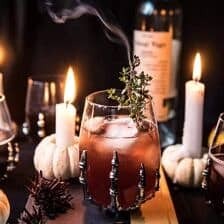 Sharing an extra spooky drink today, the vampire’s drip cocktail. 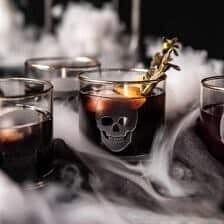 Going to go right out there and say…this sweet cocktail might just be your new favorite Halloween drink. As impressed upon me by my brother, Kai, “this tastes like a delicious milkshake”. Can you say, YUM? 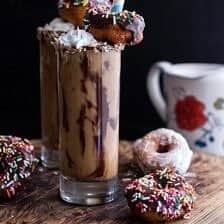 What could be bad about a booze filled milkshake? Absolutely nothing. Actually, I tend to steer clear of most dessert-like cocktails. I generally prefer my dessert in true dessert form. i.e cookies, brownies, cake, and basically all things chocolate. 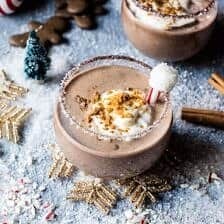 But, around Christmas time last year I made this North Pole Cocktail, ever since then I have been dying to create another sweet drink using Kahlúa. Okay. I guess I kind of do know why. My mom makes this dessert called Death By Chocolate every Christmas Eve and the cake portion has Kahlúa poured on top. It’s been my favorite dessert since I was a kid and I think this is probably why I have a serious love for anything using a little Kahlúa. Anyway, the point here is that I am in love with this extra sweet cocktail. It’s a mix of rum, coconut rum, Kahlúa, a splash of vanilla, a little milk, and if you need just a smidge more sweetness, a drizzle of sweetened condensed milk. Personally, I found the Kahlúa sweetened the drink enough for my taste…but the drink was definitely extra delicious with some sweet milk. To get the look of “blood”, I made a pomegranate caramel sauce to drizzle down the sides of my glass. This is really more for looks than anything else, but I mean, it’s pretty fun, right? 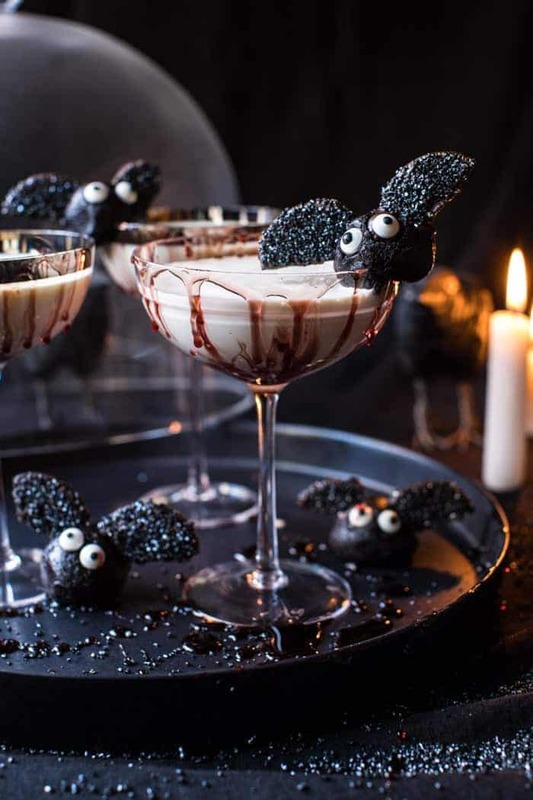 And then to finish everything off, I made some chocolate truffle bats to serve alongside my cocktails. 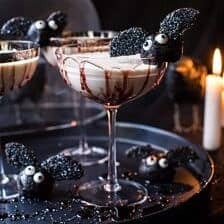 One, I figured its super cute, and two, if we’re doing dessert cocktails, let’s DO dessert cocktails. To sum everything up, this cocktail is sweet, touched with hints of coffee and vanilla, and basically the perfect drink to serve up just about any night of the week from here until October 31st. This extra sweet cocktail is a mix of rum, coconut rum, Kahlúa, a splash of vanilla, a little milk, and if you need just a smidge more sweetness, a drizzle of sweetened condensed milk. 1. Bring the sugar and pomegranate juice to a boil over high heat in a medium saucepan. Reduce the heat to medium and simmer until thickened, about 8-10 minutes. Set aside to cool. 1. Drizzle a martini or coupe glass with pomegranate caramel. 2. In a cocktail shaker filled with ice, combine the rum, coconut rum, Kahlúa, vanilla, milk, and sweetened condensed milk. Shake until combined. Strain into prepared glass. 3. 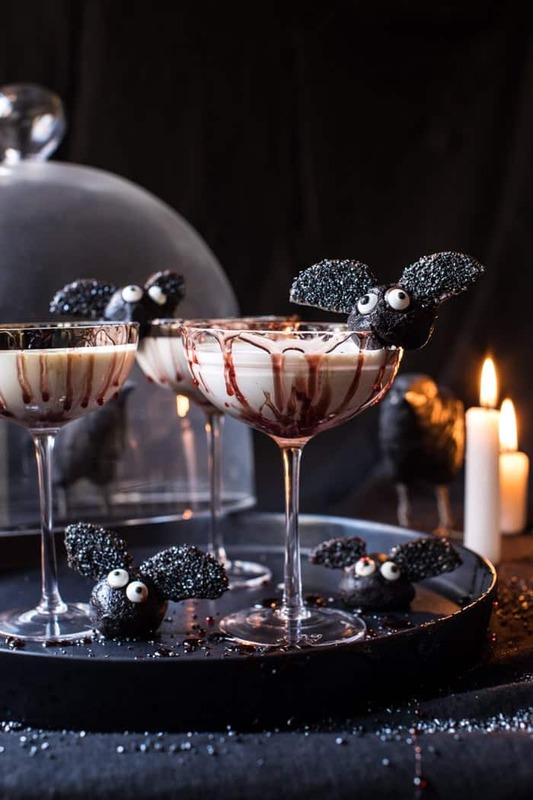 Garnish with chocolate bats, if desired. 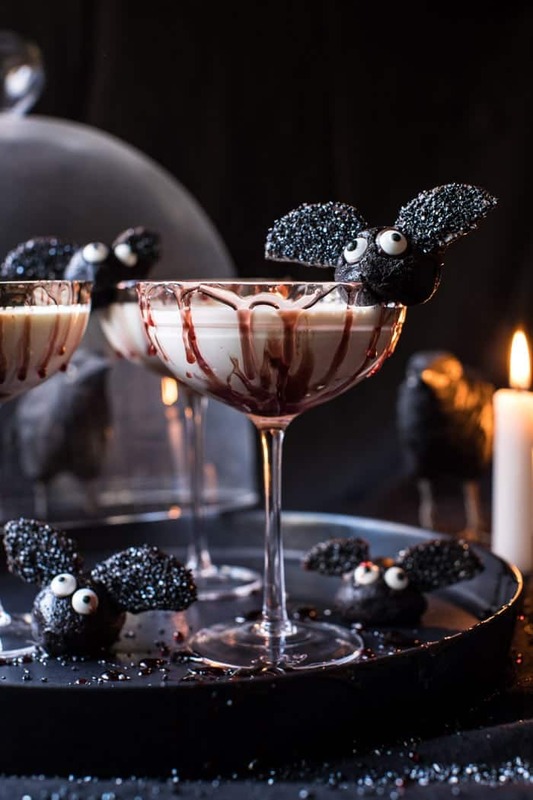 Cute and sweet treats for halloween! 1. In a medium saucepan, heat the semi sweet chocolate, and heavy cream over low heat until melted and smooth. Remove from heat; stir in the vanilla, and salt. Transfer to a bowl, cover and chill 1-2 hours or until firm. 2. Scoop tablespoon size mounds of the truffle mixture onto a parchment paper lined baking sheet. Chill for 30-45 minutes, or until firm. 3. Meanwhile, cut the Oreo's in half in dip though chocolate, placing them on a parchment lined baking sheet. Sprinkle with sanding sugar. Freeze until firm. 4. Insert the Oreos into the tops of the truffles as "wings". Add 2 candy eyes. Chill until ready to serve. Serve bats along side Vampire Drip. Hoping you are all have a great Saturday! See ya tomorrow for another favorites post! Haha wish I could! Thank you Ruth! I love this! Not only does the drink sound delicious, the little bats are so cute! Happy Halloween! What a fun, festive drink!